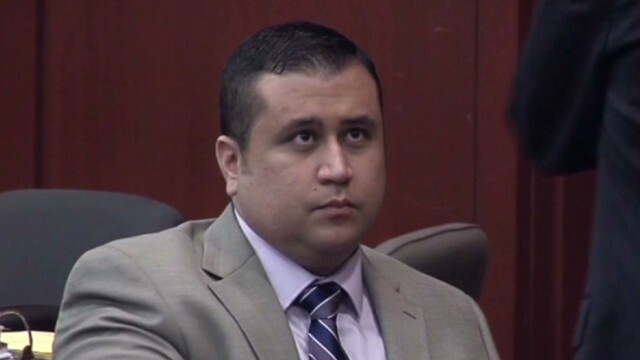 A jury has been selected in the trial of George Zimmerman for the death of Trayvon Martin. Six women will hear the case. What does that mean for Zimmerman's fate? Jo-Ellan Dimitrius, Gloria Allred and Jeffrey Toobin will break down the jury and preview the upcoming trial. Our "Breaking the News" team of Abby Huntsman, Marc Lamont Hill and Kai Ryssdal will discuss the upcoming trial - set to begin Monday - as well as the life and legacy of James Gandolfini and much more. GQ Magazine Contributor Brett Martin will also join Morgan tonight to discuss the legacy of Gandolfini. In advance of the upcoming film "Jobs," in which he is portrayed by actor Josh Gad, tonight Steve Wozniak will join the program with his traditional brand of candid humor, and wide-reaching perspective. Having joined with the late Steve Jobs to found Apple in the late 1970s, the man who boasts "engineers first" as part of his Twitter profile, "Woz" is expected to offer his thoughts on everything from the NSA's data-mining program, to the recent birth of Kim Kardashian and Kanye West's daughter, whom he visited in the hospital over the weekend. Tune in at 9 as a Morgan and his array of guests touch upon everything from death to crime and modern medicine. Logic dictates that the person WITHOUT the gun is more likely the one who would be calling for help” Why would the armed person be screaming and yelling "I'm begging you"? Sounds more like something an unarmed person would do when a gun is pointed at them!! His story makes no sense. His mouth and nose were being smothered, yet you don't here any muffled or interrupted screams on the 911 call. If Martin was smothering his "bloody face" then why was there none of Zimmerman's DNA on Martin's hands? His story doesn't begin to add up. In hushed conversations from a Seminole County, Fla., jail, the man charged with second-degree murder in the killing of unarmed teenager Trayvon Martin was instructing his wife how to transfer huge amounts of money between bank accounts and allegedly out of the gaze of local authorities. The name “Peter Pan,” in this case, appears to have been code for the company PayPal. Zimmerman was using the online banking service to raise hundreds of thousands of dollars from supporters who believed he was either a hero of gun rights or a man being railroaded by a corrupt justice system. Clumsy and obvious, the code was just one of several tactics that verged on the absurd that the Zimmermans used to try to keep their fundraising secret from authorities. The tactics were brought to light on Monday when prosecutors released audio recordings of six jailhouse phone calls between Zimmerman and his wife. Because they lied under oath about finances, there is no reason to believe anything else they say. I guess that you cannot believe any politician then? All of this hidden money issue was taking care of prior to getting to trial! I wonder how Mr. Zimmerman received all the cuts etc. on his head? Let's leave it to the jury where it belongs. We do not have to like it, but that is the system! Everyone lies, and those that say they don't have some how forgotten that they had. Watched the show tonight. I am pleased they have selected a jury. Good show Piers. If George Zimmerman had remained in his vehicle instead of exiting it, there would be no case. The scream heard on the tape is an African-American male. If one listens to the voice range, it can be discerned that this scream is also the scream of a young African-American male. Listening more closely, it can be detected that the voice range is that of a young male's vocal chords. A young male who is clearly undergoing the embarrassing squeaky pitch of adolescence. I hope that the judge allows the all female jury to hear the voice recordings. This voice recording of the scream sounds similar to the same octaves which young African-American adolescent males sing in their church choirs keeping in mind the exception of the fact that the audible voice on the tape is frightened therefore extending his octave range.